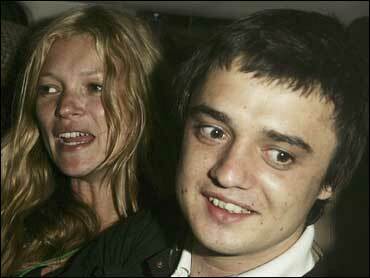 Pete Doherty plans to marry Kate Moss this summer — providing he stays off drugs, his diary says. The troubled singer gives insight into his tempestuous relationship with the supermodel in "The Books of Albion: The Collected Writings of Peter Doherty." The extracts were published Thursday in The Times. He writes that he hopes to marry her this summer, provided he is "smack and needle-free. ... I become (sic) 10 times happier than any given smackhead. Huzzah!" The entries also detail the fights between the couple, many of which appear to be about Doherty's addiction to heroin and crack cocaine. "I have been banging up I confess, and yet my use is extremely moderate and controlled. What am I saying? Kate will not tolerate this ... I wouldn't blame her, and alongside the fixing neither of us seem to completely trust each other although I love her and no other and the tiffs and tumults come between magical happy times," he writes. The diaries also feature an entry written by Moss, in which she tells Doherty: "You have touched my heart and soul ... You make me high, my sweet."